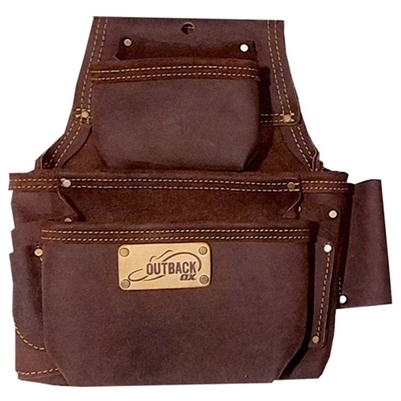 Built for all day comfort and long life, even on the most demanding job sites, the OX Fastener Bag easily stores all of the tools needed for everyday use. Pouches are secured with heavy-duty rivets that have a low profile to reduce chance of scratching surfaces. Double stitching and belt tunnel reinforcements are designed to withstand the vigorous conditions of the job site. The fastener bag features a pencil/marker pouch and a scabbard for a claw bar.